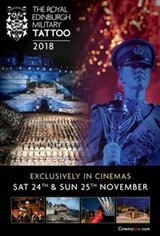 The Edinburgh Tattoo is a spectacular like no other. A kaleidoscope of music, dance and entertainment. All set against the iconic backdrop of Edinburgh Castle. See your evening burst into life with a colourful blend of Scottish pipe and drum bands, highland dancers and performers from across the world. Bigger, better and more technically thrilling than ever before. A unique mix of military tradition and global cultures. This really is an experience for the senses. Your seat is waiting.